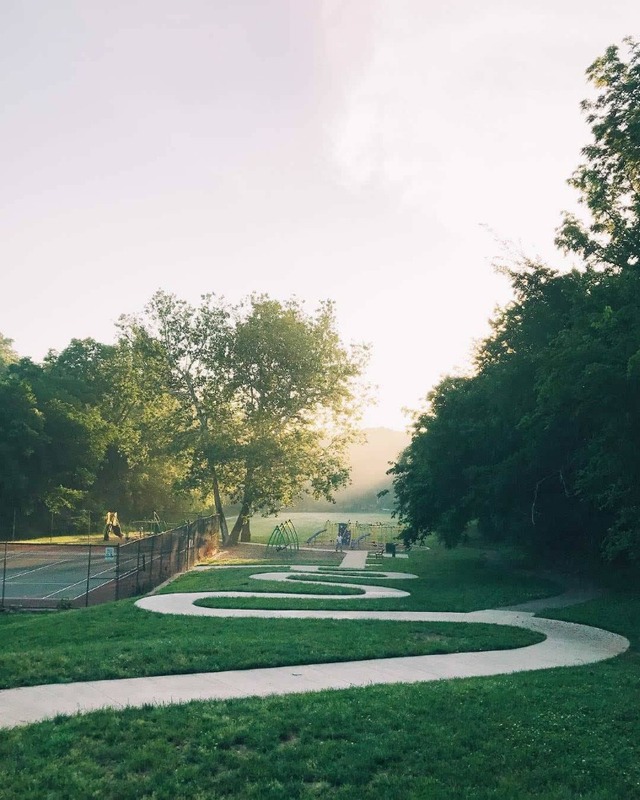 Considered an original gem of Kansas City's historic Parks and Boulevards system, Roanoke Park was designed by George E. Kessler and was referred to as "Roanoke Park" as early as 1904, officially becoming a park on January 13, 1909. The distinctive rocky bluffs encircling the park are Iola limestone sitting atop Chanute shale. Kansas City's famous Bethany Falls limestone lies many feet underground below the park. A wide variety of plants can be found in the park, from trees, shrubs and flowers, to ferns, mosses and lichens covering the rocks. As the park is restored for the future, many more will be planted and be given room to grow by the removal of non-native invasive species. 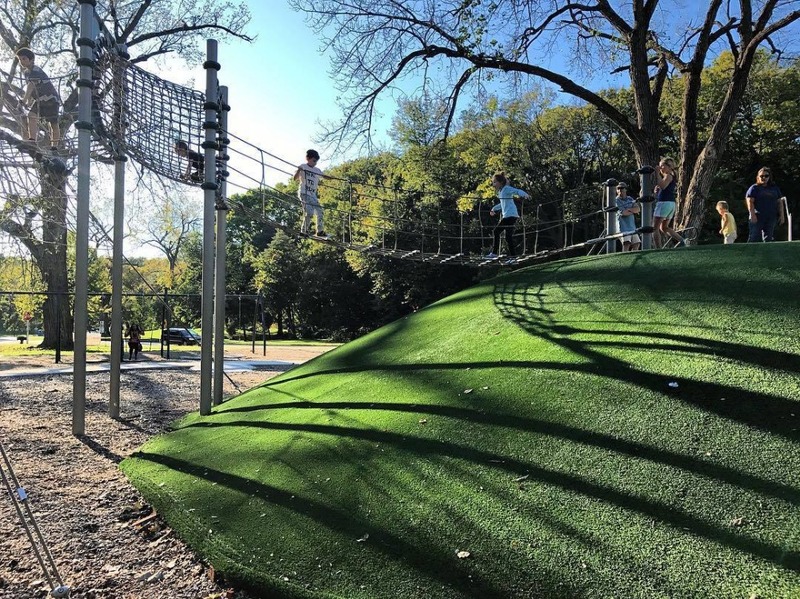 In addition to a baseball diamond, soccer field and tennis courts, the park now contains two brand new playgrounds, one adjacent to the tennis courts and the other east of Karnes Blvd, between Madison and 35th Street. The sand volleyball court has also been completely rennovated. Many walking paths and sidewalks wind through the park including a network of singletrack hiking/biking trails. 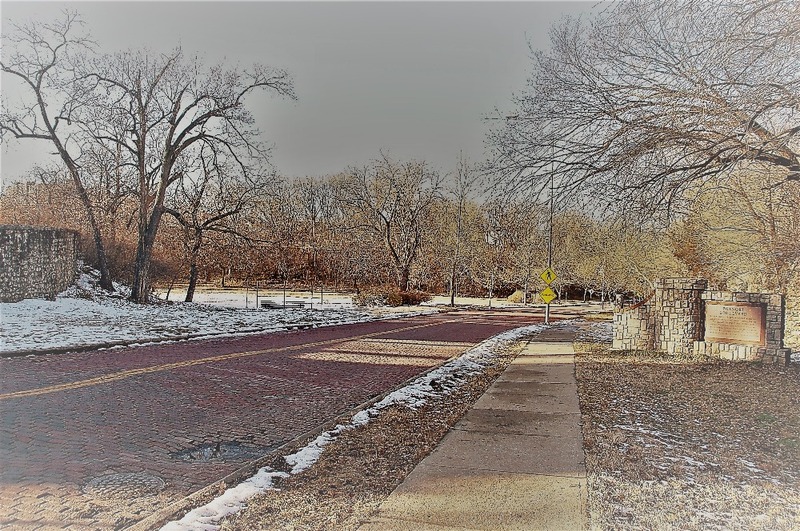 The brick paved section of Roanoke Boulevard between Valentine and Karnes is one of the few remaining brick roads in Kansas City and has been designated a historic landmark. Roanoke Park covers over 37 acres.